Madagascar’s football chief Ahmad Ahmad was elected president of the Confederation of African Football Thursday, ousting veteran leader Issa Hayatou after 29 years in office. Ahmad won the election in the Ethiopian capital by 34 votes to Hayatou’s 20, official results showed. Ahmad had challenged Hayatou and promising change After a discreet playing and coaching career Ahmad Ahmad took the reins of the Madagascar football federation in 2003 and on Thursday challenges long-serving Issa Hayatou for the African Football Confederation (CAF) presidency. 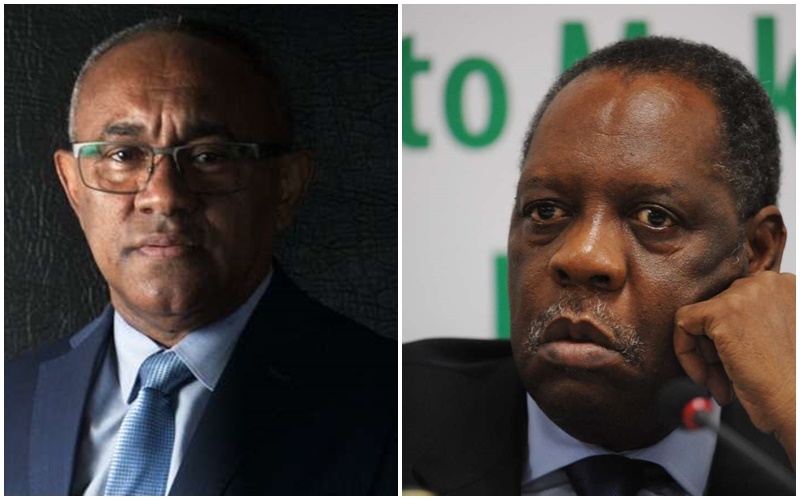 Favourite Hayatou, who has been in charge for 29 years, and Ahmad go head to head in Addis Ababa seeking a four-year term as African football boss. With Eritrea disqualified for not entering any recent CAF competitions, the other 53 CAF member states are entitled to vote and a simple majority is needed to win. Hayatou, who is also the senior vice-president of global football body FIFA, offers continuity and experience while Ahmad favours change. “If people want change, there is no other choice. It is only me who dares to run against Hayatou,” Ahmad told AFP in the Malagasy capital Antananarivo. “My program is the reform of the administration of CAF to prevent politics interfering with the organisation of the confederation,” said the 57-year-old father of two. The emergence of Ahmad as the standard bearer of those seeking change took many involved in African football by surprise. Part of the Muslim minority in a small village in northwestern Madagascar, he has kept a low profile since taking charge of the football federation in his country. “He is a man who speaks little during CAF executive committee meetings,” said a source close to the Cairo-based organisation. Ahmad officially has the support of the 14 member countries of the southern African confederation (COSAFA), of which Madagascar is part. CAF comprises 54 member countries and Hayatou, first elected in 1988, is seeking an eighth consecutive term. He was challenged in 2000 and 2004 and inflicted humiliating defeats on Armando Machado of Angola and Ismael Bhamjee of Botswana. “Hayatou tires a lot of people, but overall the African federations will support him again,” said a source close to FIFA. Ahmad brushes aside the argument that the president of CAF cannot come from a weak football nation like Madagascar, who are ranked 39th of 54 African national teams. “This is an argument to try and defeat me, but look at the presidents of the Asian and North-Central American confederations — they are from Bahrain and Canada.” The senior vice-president of CAF, Suketu Patel, comes from the Seychelles, whose national team is ranked 51st in Africa. Ahmad has based his campaign on “transparency in the management” of CAF and an end to “obsolete practices”. Ahmad was named by the London-based Sunday Times regarding the award of the 2022 World Cup to Qatar. According to the newspaper, Ahmad would have received 30,000 (28,000 euros) to 100,000 dollars in exchange for his vote for Qatar. “It does not make sense,” says Ahmad “(as I) simply asked for financial aid to organise the elections of the Malagasy federation.” Last January, CAF withdrew the organisation of the Africa U-17 Cup of Nations from Madagascar and gave it to Gabon. CAF cited lack of preparation for the decision, which was announced after Ahmad said he would challenge Hayatou. Ahmad says the move was a political manoeuvre. “Withdrawing the tournament from Madagascar came at the time I declared myself a candidate for the CAF presidency.” Ahmad is pleased with the reform last year of the CAF statutes, limiting presidents to a maximum of three four-year terms.